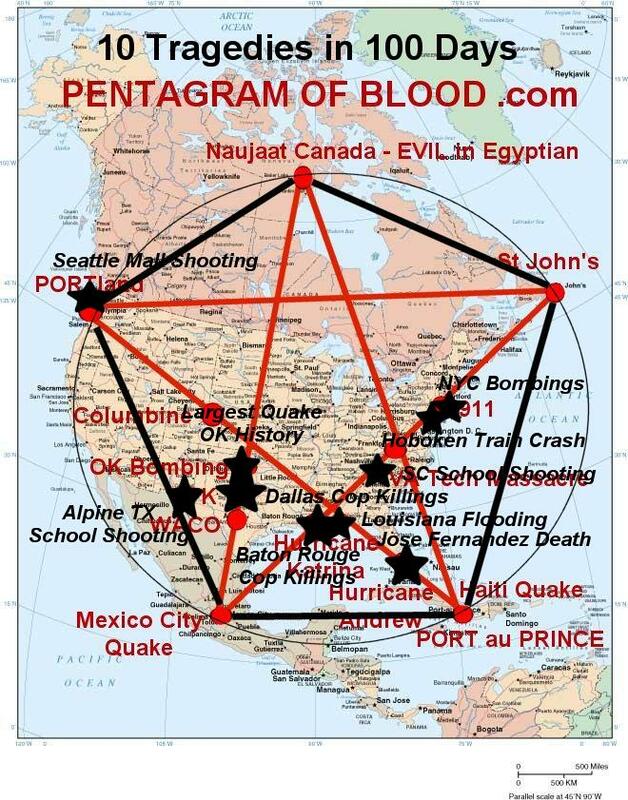 The original article about all the major loss of life events that hit the USA Pentagram of Blood within 100 days of the release of the music video Pentagram of Blood by Rex Luciferius didn’t include 3 major events that struck within 13 days after that article was released. The events were the major loss of life event in Haiti when Hurricane Matthew struck the area. Then a major bus tragedy and cop killings truck in Palm Springs California. Below is the original article that explains the first 10 tragedies. The article was written by Dr. Sol Adoni who is Sollog and Rex Luciferius.